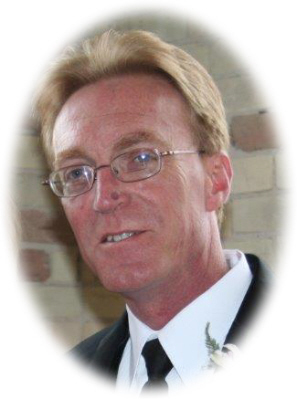 Alan Wayne Nicewander age 59, of Ithaca, MI, passed away Saturday, September 1, 2018, at Mid Michigan Medical Center, Midland, Michigan. Funeral Services will be held at Smith Family Funeral Homes, Ithaca, MI, at 11:00 A.M. on Friday, September 7, 2018, with Pastor Tom Whitesel officiating. Burial will take place at Ithaca Cemetery, Ithaca, MI. Visitation will be held on Thursday, September 6, 2018 2-8 P.M. with family present from 2-4 & 6-8 P.M.. at Smith Family Funeral Homes Ithaca, MI. Alan was born in Alma, Michigan on August 11, 1959, the son of Alfred and Maxine (Mills) Nicewander. Alan graduated from Ithaca High School. He was a corrections officer for Carson City Prison preparing to retire in February 2019. On October 17, 1986, Alan married Melinda Courtney-Nicewander at the Ithaca United Brethren Church, Ithaca, MI. Alan and Courtney were married nearly 32 years and were the proud parents of 3 daughters. Alan was unselfishly dedicated to his family and 11 grandchildren. He was known by all for his wicked sense of humor, gift of gab and love of laughter. Alan is survived by his wife Courtney of Ithaca, 3 daughters: Sunshine (Todd) Westmaas of Jenison; Elisha Anthony of Ithaca; and Jessica (Kurtis Eadie) Nicewander of Howard City; 11 Grandchildren: Austin Westmaas, Zachary Westmaas, Mason Westmaas, Micah Westmaas, Lucas Anthony, Keira Anthony, Alexis Salisbury, McKenzie Nicewander, Lauren Rose, Kamden Eadie, and Annabelle Eadie; sister Denise (Dennis) Womack of Phoenix, AZ, and 4 nephews. Alan was preceded in death by his parents, and his grandmother Hazel Aldrich. Memorials may be made to Gratiot County Meals on Wheels. Online condolences can be sent to www.smithfamilyfuneralhomes.com. The family is being served by Smith Family Funeral Homes, Ithaca, Michigan.